Limbourg (Belgium), typical houses of the St. Georges place. Limbourg (Belgium), the lower part of the city and the Vesdre river. Limbourg, the church of St-Georges (end of the XVth century). 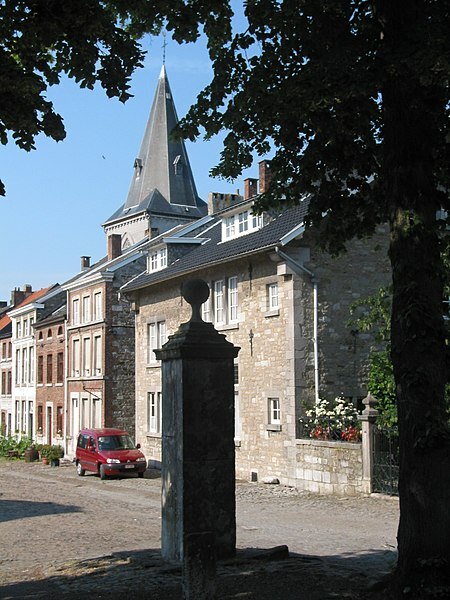 Limbourg (Belgium), the church of Saint George (XVth century) and the Holy Virgin water pump (XVIIth century).